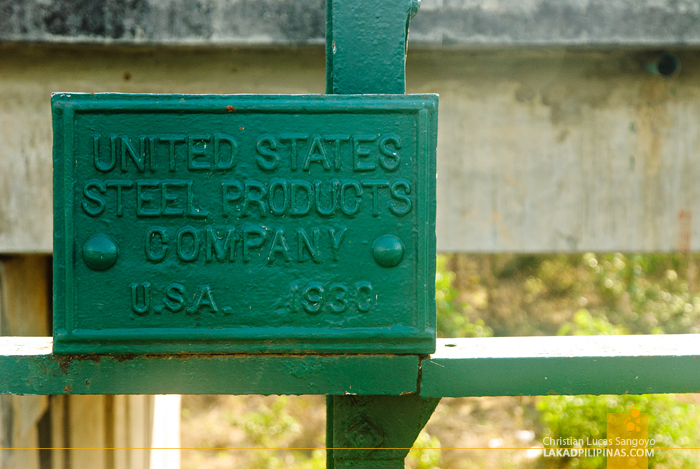 We were undecided if we were going to push through with our visit to the Pai Memorial Bridge. We debated, what can we really see there? It’s just a bridge after all. But with plenty of time left to spare before sundown, which we plan on spending at the Pai Canyon once again, and with nothing else on itinerary, we finally decided to give it a quick visit. 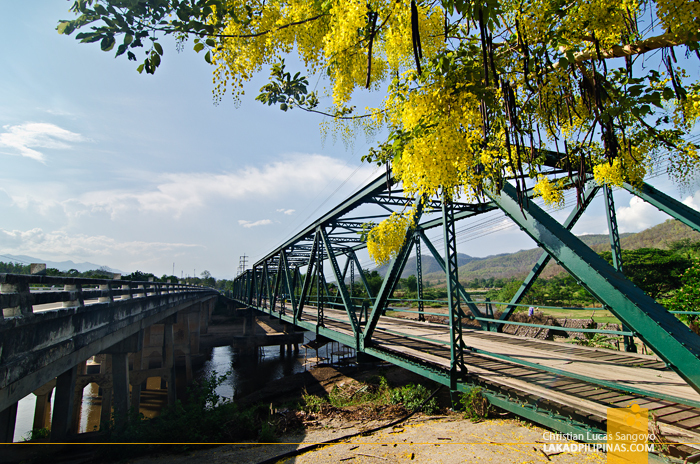 The memorial bridge, which a few dub as the World War II Memorial Bridge, is located some 10 kilometers from town. Coming from the Pam Bok Waterfall and the nearby land split, it was actually much closer to where we were at the time. Still using the motorbike we soft-crashed en route to Mo Paeng Waterfalls, we again zipped through the swerving roads of Pai until we arrived at the Pai River. 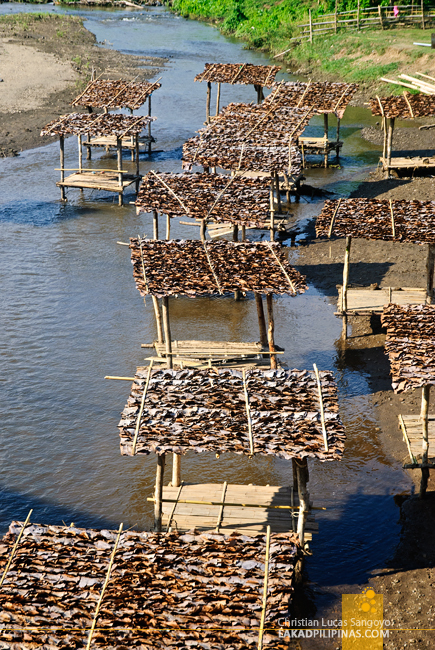 We parked our motorbike just before the bridge where a few stalls selling tourist souvenirs were promptly in place. As we expected, there was nothing much to see in the place. 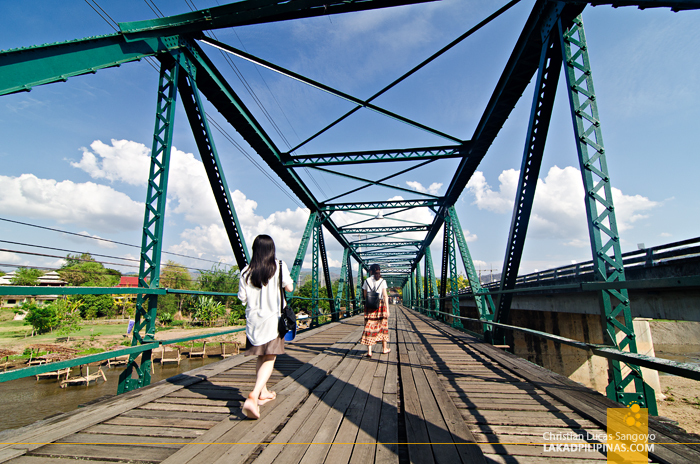 The steel truss bridge, which was moved from Chiang Mai to its present location, wasn’t even really the one that the Japanese built to cross the Pai River en route to Burma (present day Laos). 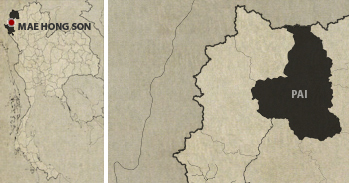 That one was burnt down when they went into retreat. 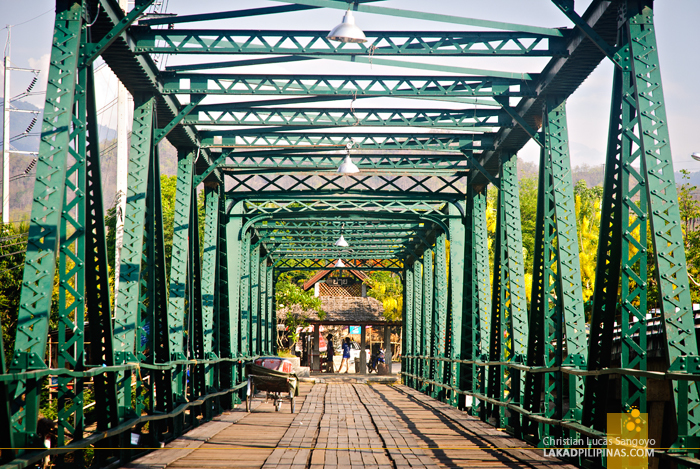 This one was actually put here by the Thai government since it was no longer being used in Chiang Mai and Pai needed a much stronger one after a flood washed off their old bridge. 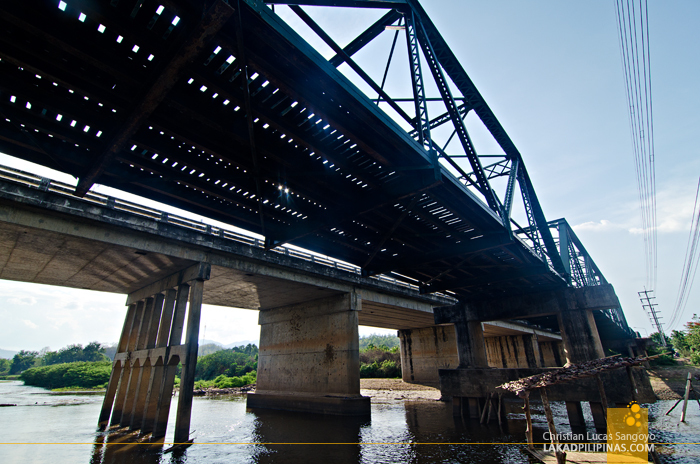 Like its predecessor, the Memorial Bridge has also now become a thing of the past. A newer, concrete one has been built alongside, making it a relic used only to attract visiting tourists; a good ground for a selfies if I might say, as evidently seen from the flock of Koreans I saw visiting alongside. 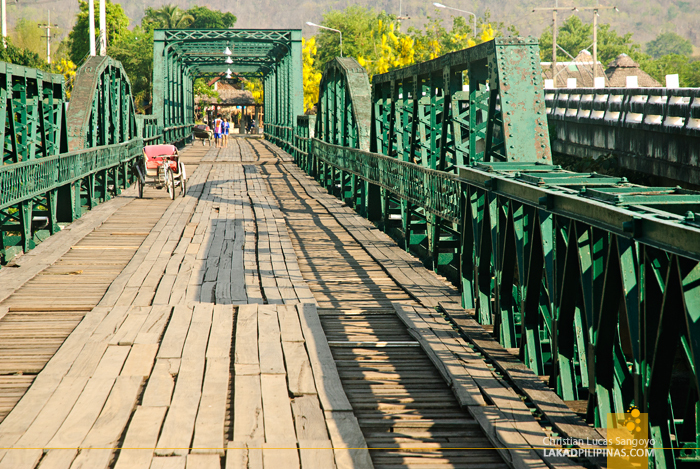 Braving the searing midday heat, we traversed the entire span of the bridge, taking in the banal view of the Pai River. Arriving at the other side, we thought of going down below the bridge. And why not, we can’t think of anything else to do. 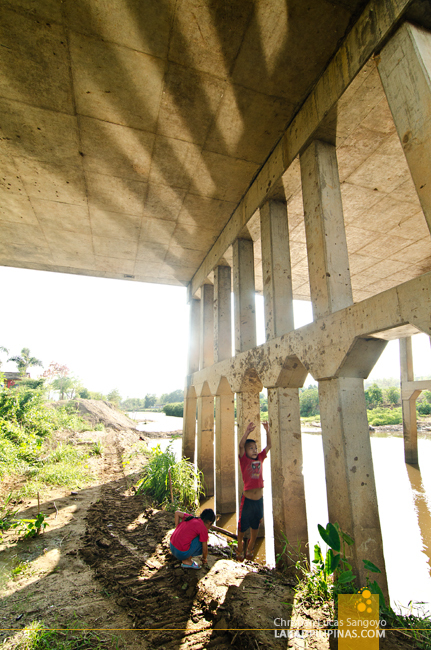 We saw some friendly Thai kids playing along the pillars of the new bridge, too shy to have their photographs taken, and we thought of crossing the river to get back to the other side. We however quickly decided against it, even if the water seemed quite shallow, as our feet quickly sunk to its soft muddy bed on first try. I silently berated myself from not getting the shoes I’ve been eyeing from New Balance, which is available on ZALORA Philippines. It would’ve done the job in crossing the river. 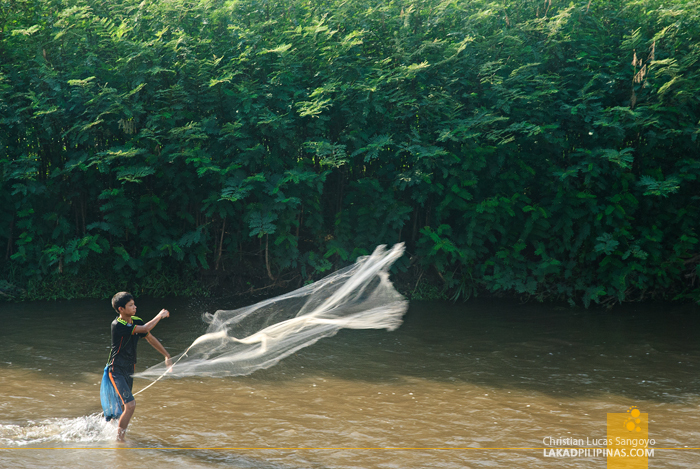 Instead, we contented ourselves with a stroll along the bank where we chanced upon another kid fishing along the river, throwing and hauling back his net as he walked against the flow of the water. He was totally unmindful of us and it was quite a beautiful scene on an otherwise dull afternoon. But that was before the elephants came. 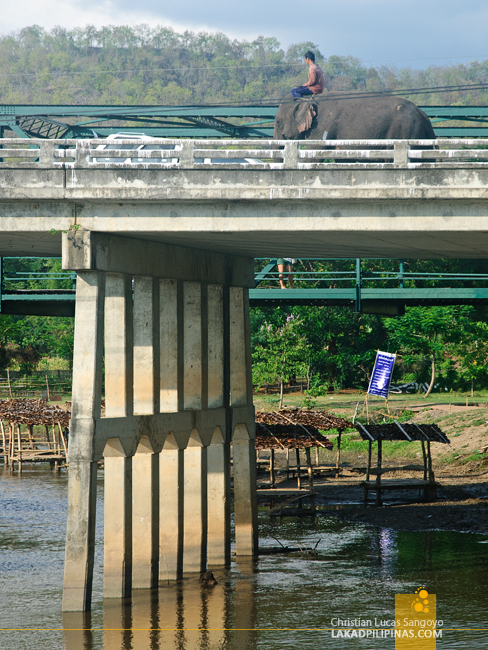 Four of them, to be exact, came rumbling along the new bridge, each with a man riding above their necks. 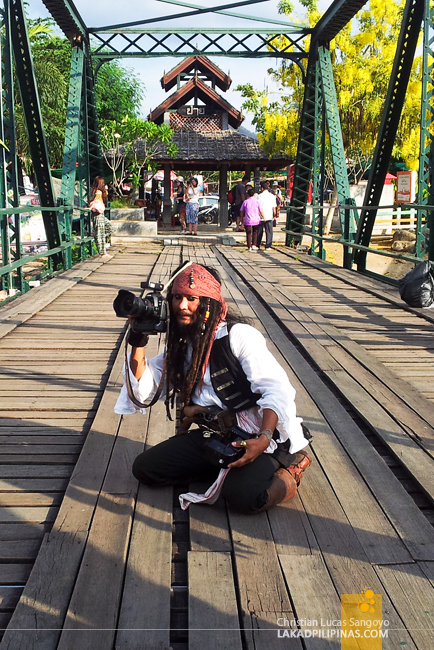 And up on the old bridge once more, we chanced upon Jack Sparrow, a local celebrity of sorts in the area who dresses up as the infamous pirate. I’m not sure if he’s a tour guide or what, but he’s holding a souped-up Canon 5D Mark II on one hand and a flashgun on the other as he took photos of a group of tourists posing at the bridge. Well, it’s not everyday that we see elephants, much less four of them, plus Jack Sparrow too. 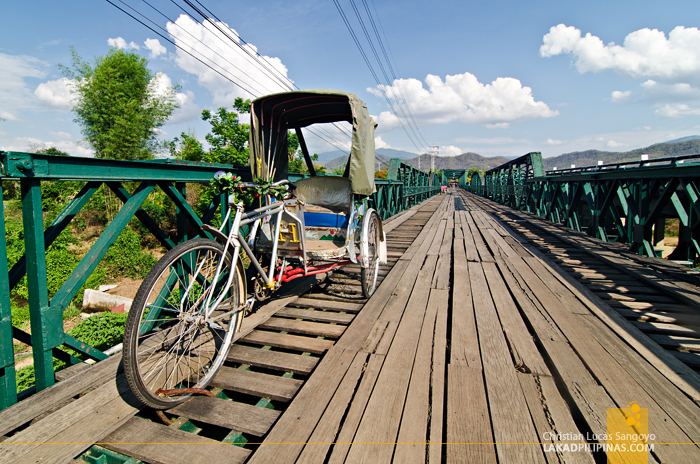 I guess venturing all the way up to Pai’s Memorial Bridge ain’t so bad after all.